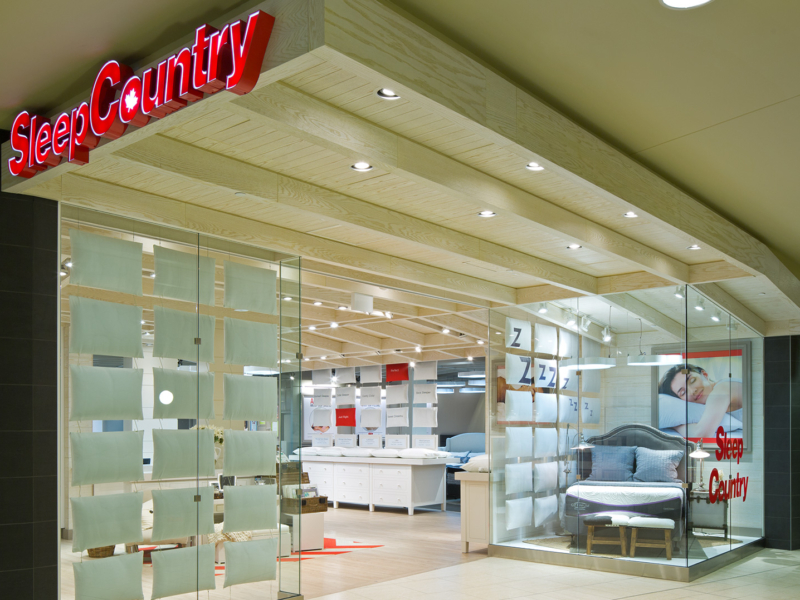 A new concept designed to appeal to home décor shoppers in malls was created for Sleep Country. The product offering was enlarged to include a wide selection of bedding and linens in order to have a more impulsive merchandise assortment that could be a “cash and carry” business suitable to an enclosed shopping center setting. A “shop-in-shop” approach at the front of the store highlights the new product mix in a boutique style differentiating it from the vast space beyond that displays mattresses. Overhead messages about the benefits of sleep in a fun conversational tone are introduced on cloud-shaped lights in the mattress sampling area at the back of the store.